There is nothing worse than coming home after a long day at work or school to a full sink of dishes or a shelf of dusty collectables. These and other household chores tend to pile up if they're not attended to promptly, but who has the time to handle laundry, dishes, and everything else that it takes to keep a household clean and hygienic, especially if you're juggling full-time responsibilities like a job or parenthood? 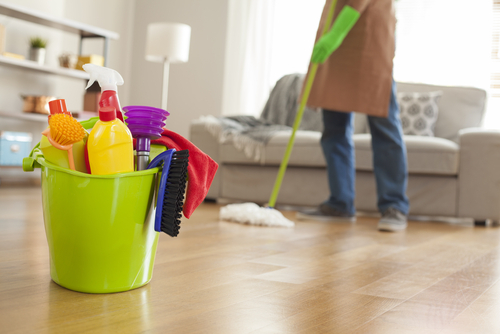 If you're starting to feel overwhelmed by your house cleaning, it may be time to hire a professional cleaning service! 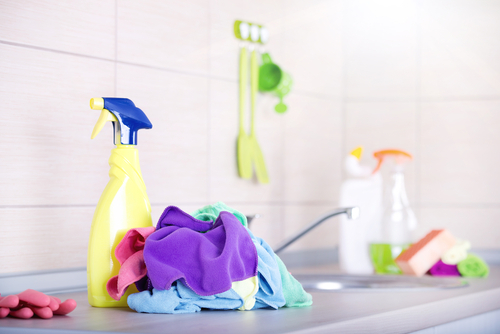 Don't be intimidated by the title of 'professional cleaner,' an efficient and professional house cleaner in Singapore can assist with whatever mundane chore you need help with. It's easy to set up a consultation appointment, during which you will have the chance to discuss which chores need to be completed as well as voice any concerns you may have. Once that has been completed, you'll never have to worry about dirty dishes or a scummy shower ever again. Why should I hire a professional cleaner? There are a large number of reasons to hire a professional house cleaner in Singapore, but here are the top two that you should consider. First, cleaning is their job. How long would it take you to clean your entire house from top to bottom if you included mundane chores like dusting or window cleaning? Take that figure and cut it in half and you'll have some idea of how quickly a professional cleaner can get their job done. They also know how to find that hidden corner where dirt and dust can hide, which you might overlook during your cleaning. Things like fan blades, air vents, and window sills can accumulate dust and dirt that you'd never even think to look for. Why should you worry about keeping your home or office clean? Recent studies have shown that spending large amounts of time in a dirty or cluttered living or working space can have dramatic negative influences on a person. Physically, you may find yourself suffering more illnesses or allergies. Mentally and emotionally, living in a dirty home is draining and can lead to depression or other similar mental illnesses. While you may not want to spend the time to organize your home or office, having a clean and organized home to return to can do wonders for your overall wellbeing. If you're not entirely happy with your current house cleaner in Singapore, you may consider looking for a new one as you need to be happy with what you've agreed to pay for. Before committing to a schedule or a contract, you can determine whether these professionals will meet your needs. 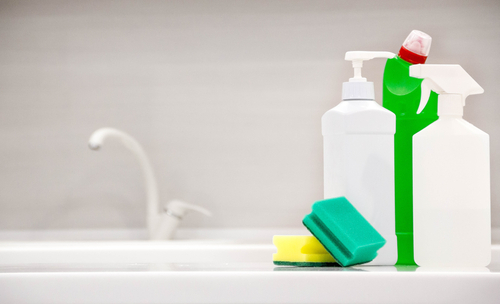 A recent poll showed that people who hire a professional cleaner are able to live less stressful and healthier lives. So quit worrying about that laundry in the laundry room, or those dusty keepsakes. Spend more time with your family, and let professional house cleaners from Singapore take care of the rest. Cleanliness is one of the most important today and clean house do gives the mind piece and this contributes to life comfortable and better health.All the same the organized and clean household relaxes the owner's mind.It becomes the essential. In today's world, cleaning of your dwelling place is highly possible with the professional cleaners in Singapore and they go with the depth cleaning. The cleaning service is very much necessary and so the home cleaning service include vacuuming, dusting, themes and scrubbing, especially this hard for owners more so who are busy with hard jobs. Cleaning service of house cleaner Singapore always gives the recreation time as well as precious rest. The domestic cleaning Singapore service might helpful for the lucrative business people because they provide the employment to different people and so people can hire the cleaners to clean the office or homes who are extremely busy to take the cleaning themselves. Today the domestic cleaning require in the kitchen and bathroom cleaning and even they provide the laundry and ironing service to make the owner's life easier. Nowadays, most of the domestic service providers provide a high standard work and even they incorporate all the values like reliability, competitiveness, honesty, commitment to assure the people with high-quality service. The people who interested to employ the cleaning company then make the call or via online booking. The cleaning services Singapore provides the different specifications of the parts that which part need to clean and what to clean. Also, they operate the holding service as a result the cleaning providers still come from owners to complete the work. Hiring the Singapore domestic cleaner is very affordable. Nowadays everyone is preparing to hire the domestic cleaners to manage the lifestyle this because of the standard living and also people try often to earn more money in order to pay off bills or mortgage. The domestic cleaners deliver the work on right time and they will maintain the deadlines and many more and so it's not difficult for people to concentrate on cleaning. The domestic cleaning Singapore help to save the time that who can't manage our work and this is an affordable way to keep the house as regular basis or clean. The professionals always take out less to maintain as well as clean the house. The Singapore cleaners are professionals and therefore their services have done under experienced and trained staffs. The professional services are efficient and they will not dissatisfy the clients. They will clean the entire house properly and there will not present any dirt or dust after cleaned by a professional. Today the people who are afraid to make calls for cleaners you can go through the internet. There are many companies providing the cleaning service, but choose the trustworthy company that who gives the reliable work. The cleaning services Singapore make people feel relaxed as well as tension free. The professional has the cleaning tools that what required vanishing as well as they keep the material safely, even though the cleaning service will accomplish a high range of tasks.